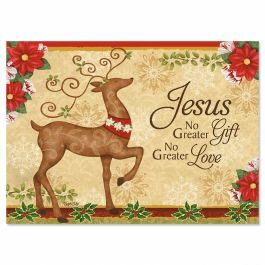 Inside: May the joy of Christ dwell in your heart this holiday season and throughout the year. 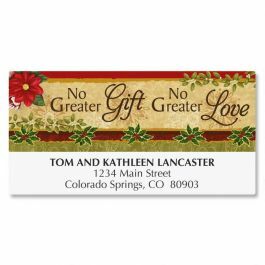 Matching Address Labels (Item# - 900959) - Colorful 1-1/8" x 2-1/4" return address labels match your cards! Set of 48.